As we began our search for information we found a lot of it that was not real, though it sounded good. Over the last few years what we’ve learned we now want to share. First lesson we learned; all we hear is not all that is known. For example, we heard you used hemp and CBD when you couldn’t get the REAL stuff. We also were faced with the same choice many of our friends & neighbors face daily as we deal with the pains of living; should we get high or take opioids with their potential side-effects? 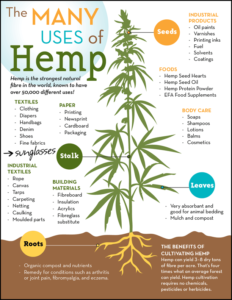 Now we know enough about our endocannabinoid system to know hemp has exactly what we need, there are other foods and plants that can enhance our ability to live healthier lives simply by choosing better ingredients. We do not need marijuana or synthetic drugs to achieve relief from our daily aches, pains, and stresses. Please visit us very soon as we prepare to migrate and develop quality, reliable information we can each use when choosing products to enhance our endogenous systems. We will be linking you to the science, our experiences, and a growing network of partners in retail, health, and wellness businesses near you. We strive to ensure everyone has a chance to learn how easy it can be to improve our health. Keep in mind, we will not be sharing the latest, greatest lotion or potion or snake oil. We are not going to insult you by saying only the products we sell work well. We will not knowingly mislead or overstate what we believe from our studies. We will partner with many passionate professionals serving your health needs who understand the homeostasis goals using nature and listening to our bodies. Here’s a link to a video Gary produced last year, some excellent information and a 15% off offer for those who invest the time to watch. Come on by either store to learn more! Have a group that can benefit from accurate information about CBD, hemp, and our endogenous systems? We can provide a speaker for your group free.